Describing the average office lay-out is of course possible. 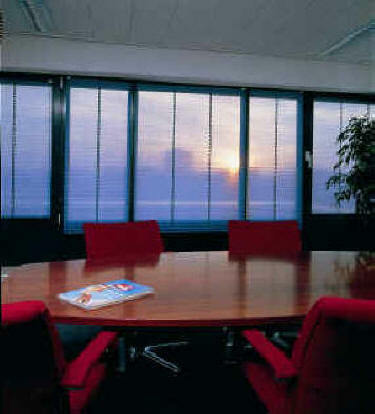 The size of the office, the size of the window, the desk, the computer etc etc.. We at Verosol believe however that the occupant is a much more important factor in deciding on sun shading. 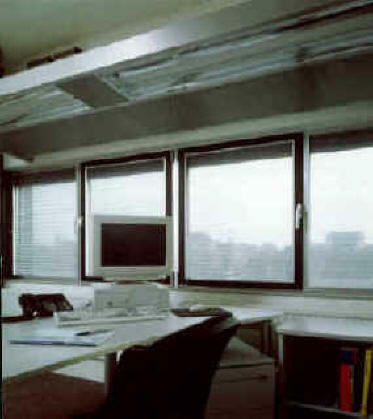 And although it will probably also be possible to describe the average occupant of an office, Verosol prides itself in being able to offer a customized solution that can not only make sure that legislative demands are met, but also satisfy the varying, individual needs of occupants for sun shading, glare-protection and view through. Verosol offers a wide range of sun shading products made of fabrics with a microscopically thin layer of aluminum, which gives the fabrics their excellent sun shading and light regulating properties. These fabrics are available in transparency degrees ranging from ultra-transparent to non-transparent, which enables interior architects, designers and decorators the possibility of choosing a tailor-made solution with the above mentioned parameters in mind. The transparent and semi transparent fabrics offer high reflection values, reducing heat and glare, and offer the possibility of maintaining contact with the world outside at the same time. 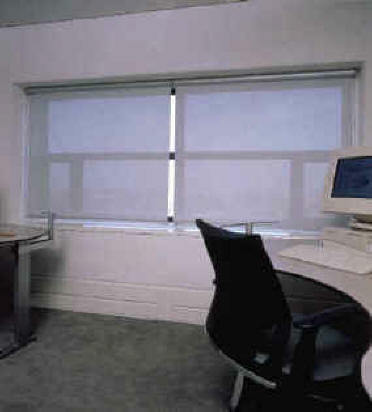 The non-transparent fabrics are even better at reflecting the solar radiation creating the ideal circumstances for computer work that requires high concentration. Verosol fabrics are available in three different product groups: pleated blinds, roller blinds, and vertical blinds. All these products have their individual advantages depending on the specific requirements in each separate building. In any case all product varieties are individually operable, giving the occupants a choice as to how to position their sun shading, depending on the tasks that are performed at any time of day, and the requirements of those tasks in terms of daylight influence.